Home Nelly News NEWS: @NellyMo To Star In Reality Show Called "#NellyVille"
NEWS: @NellyMo To Star In Reality Show Called "#NellyVille"
"Nelly Ville," a reality show starring Nelly, will debut on BET on November 25th. What's this, a reissue of Nellyville? 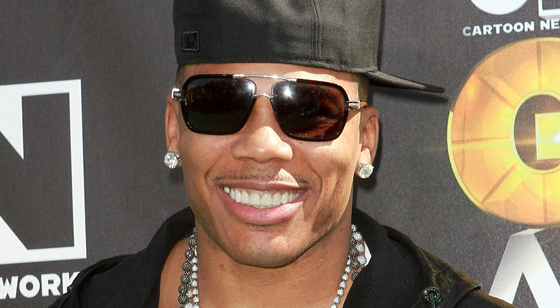 Unfortunately no, there's no news of a reissue of or sequel to Nelly's 2002 album (the 14th best selling rap release of all time), but it is the name of an upcoming reality series that the St. Louis MC will be starring in. According to The Hollywood Reporter, the show will "focus on the rapper navigating his hip-hop career, fashion businessman/co-owner of the NBA's Charlotte Bobcats and father to his biological children and his late sister's children, all while balancing a relationship with Miss Jackson, Floyd Mayweather Jr.'s ex-girlfriend." With the first episode airing on November 25th at 10:30 (9:30 Central time), the first season will include eight hourlong episodes. Watch a trailer below.